Matt Francis Painting and Decorating offer all our clients a friendly, professional service, while making sure all your requirements and expectations are met by the deadline agreed. All the work we carry out for our customers comes with a 12 month guarantee as we only use good quality products met by our high standards of workmanship. Listed below are some of the residential decorating services we provide through out Somerset, Devon and Dorset. Vinyls, Frescos and Patterned etc.. 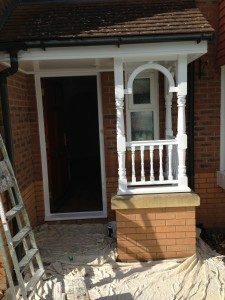 Here at Matt Francis Painters and Decorators we only use the highest quality products ensuring you that the finished product will not only look fantastic but it will last in all types of weathers! especially since we are in Somerset with the strange weather we keep getting.